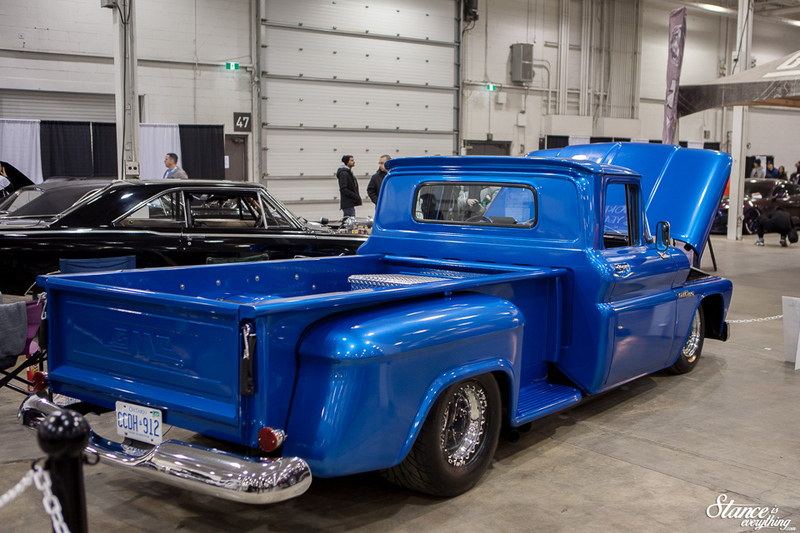 As the first custom car show of the year Motorama marks the upcoming arrival of spring for hibernating enthusiasts of Ontario. 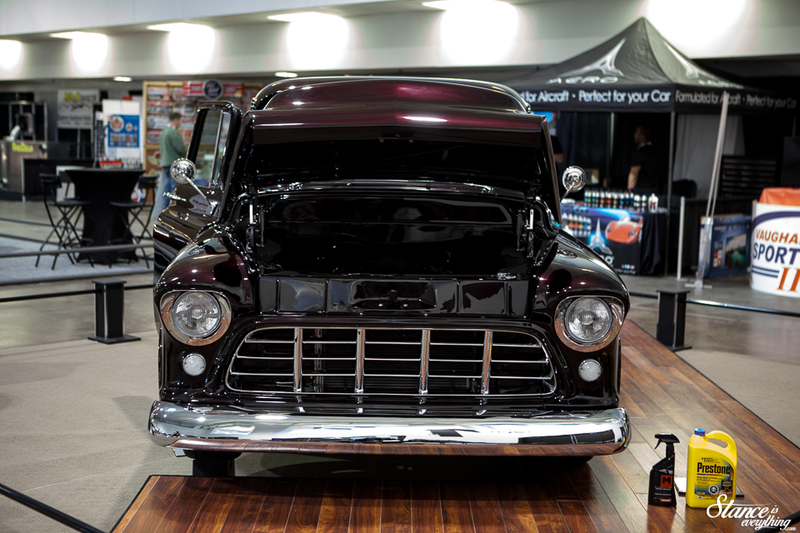 Where the Autoshow is for the general automotive public Motorama is for us. For the eager it’s a chance to show off what they’ve been up to all winter. 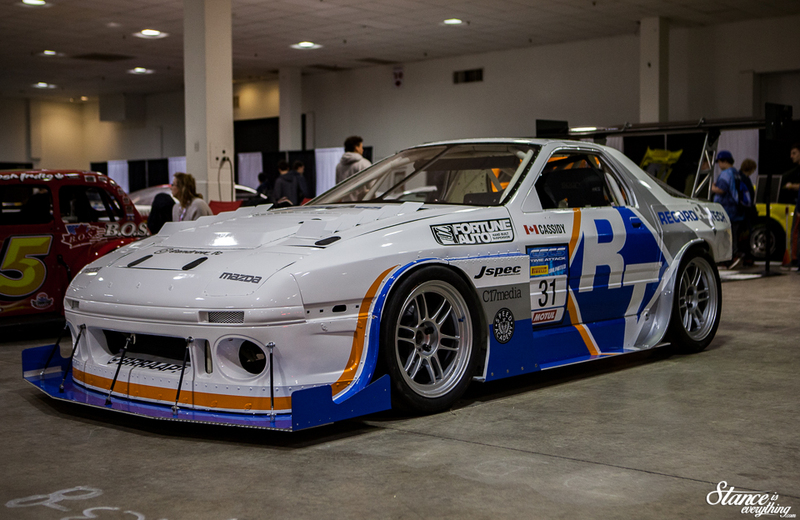 And for everyone else it’s a break from our projects and a reminder that there are plenty of cool cars set to roam the streets or track in the upcoming season. Always a busy event, this year I got through the door early on the show’s opening day to check out the show a few minutes before it was packed with people. 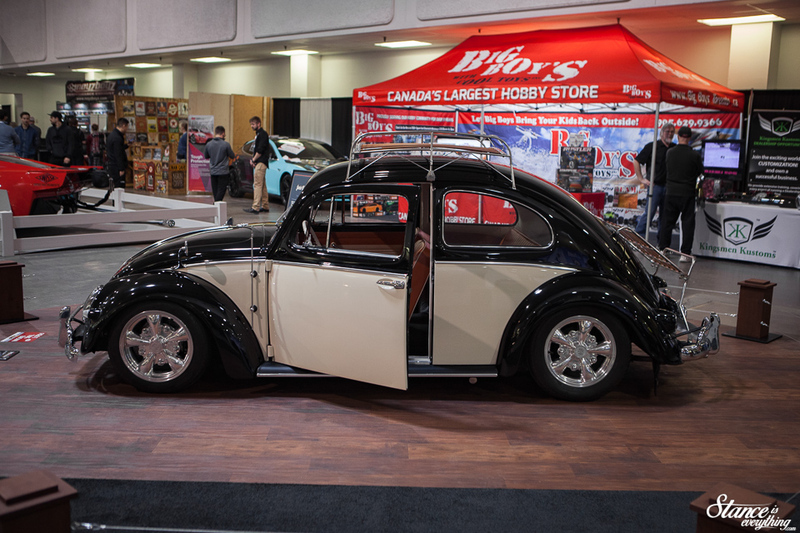 As a showcase of the best the show had to offer shooting the main hall is a challenge when the doors kick open. My first stop in the main hall was actually to the Performance Improvments booth. 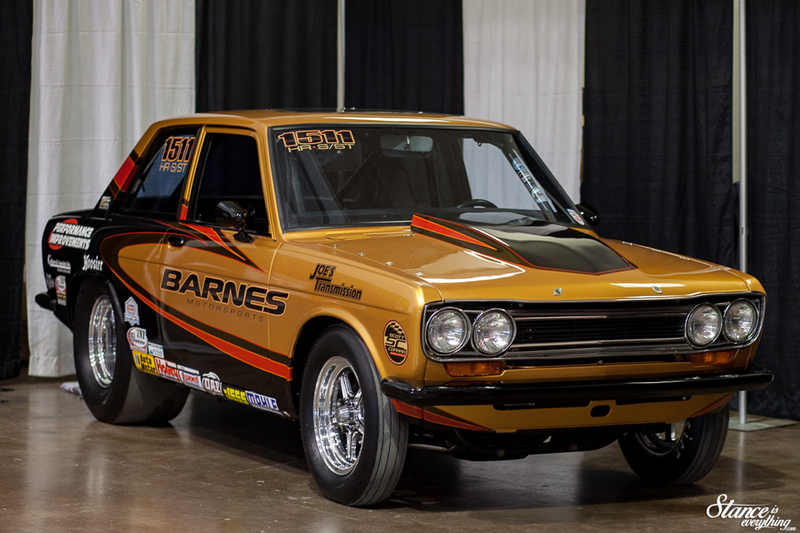 While they were still setting up I said my ‘hellos’ and snapped some photos of Ted Barnes Datsun 510. 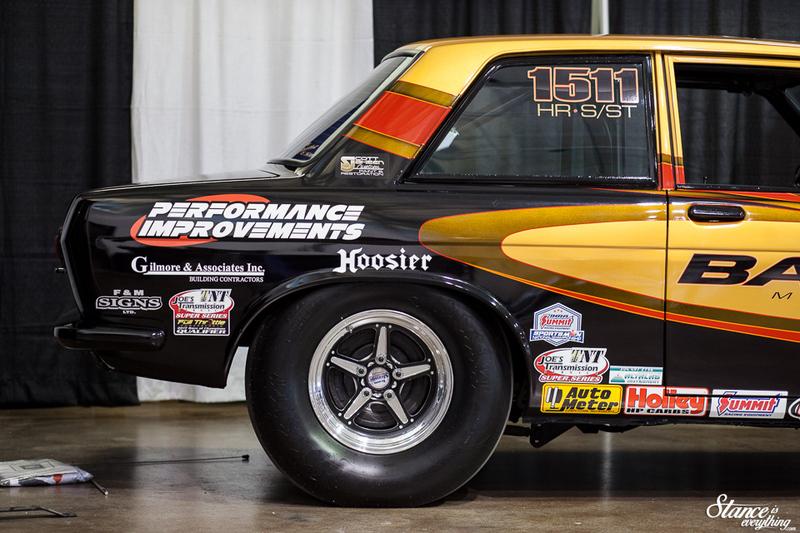 Barnes Motorsports and Performance Improvements have had a relationship for nearly as long as Ted has had this car. 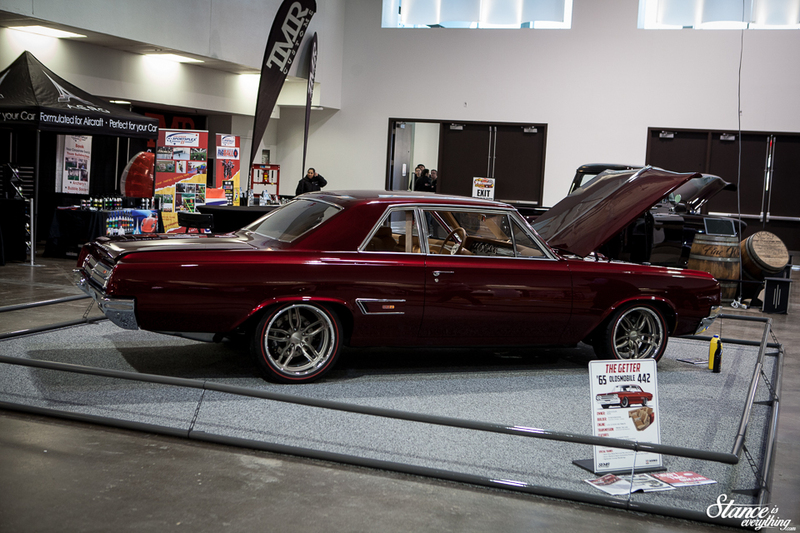 Wearing refreshed colors the small block swapped drag prepared 510 looked better than ever. It currently runs 10.405 at 130.80 mph, and Barnes Racing is constantly improving their program so it’s likely going to keep getting faster. 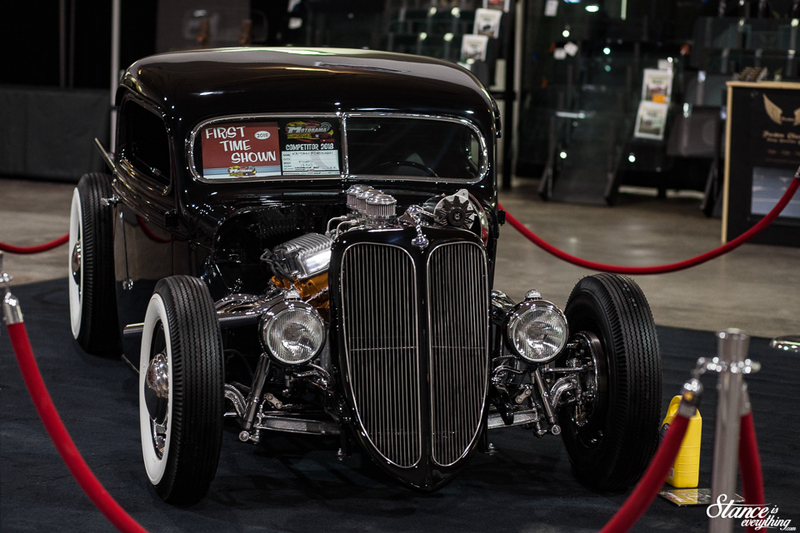 My next stop was to check out “Fine Wine” the latest build from Hitman Hot Rods. 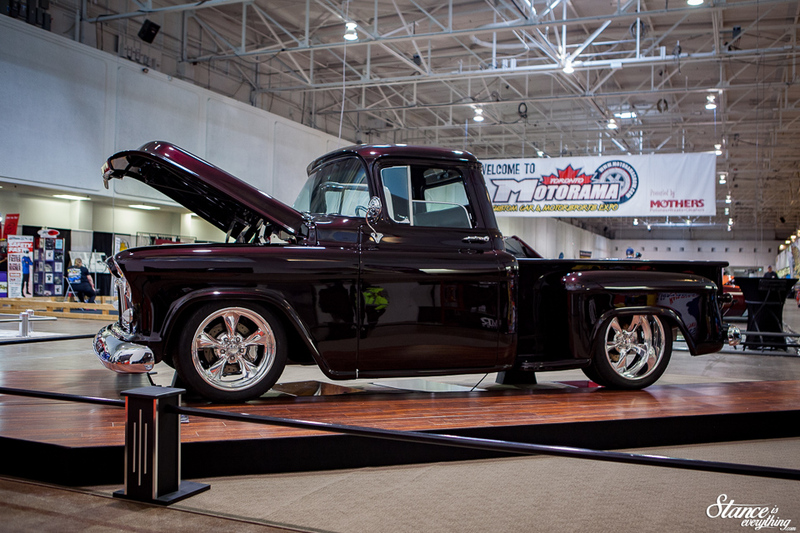 It’s an LS powered Task Force truck that sits on the lowered version of their made to order, chassis. 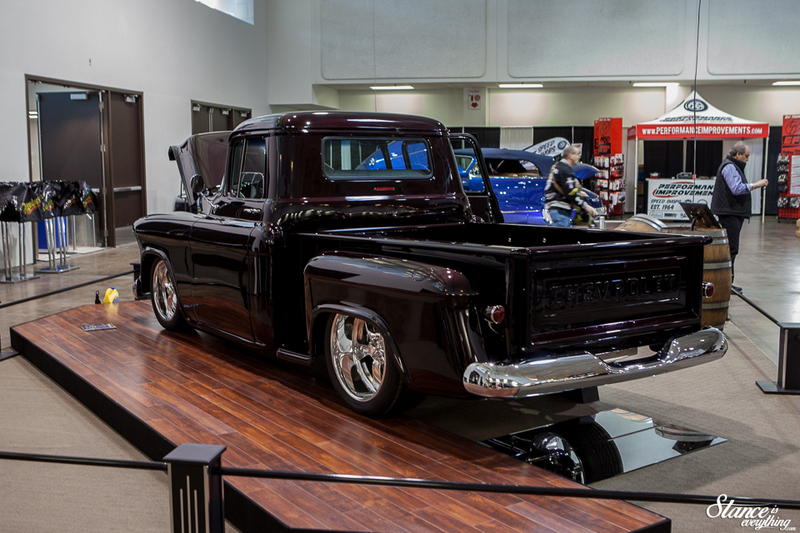 The team at Hitman thrashed to the finish line for this one with final assembly happening the week of the show. The thrash was worth it because Fine Wine ended up taking home several awards including the “Grand Champion” award. Which is essentially the “best of” out of the entire show. More importantly, the owner was absolutely thrilled with the build and is looking forward to driving the wheels off it when summer hits. Whoever curated the front hall this year did an outstanding job. Something for everybody seemed to be the focus. 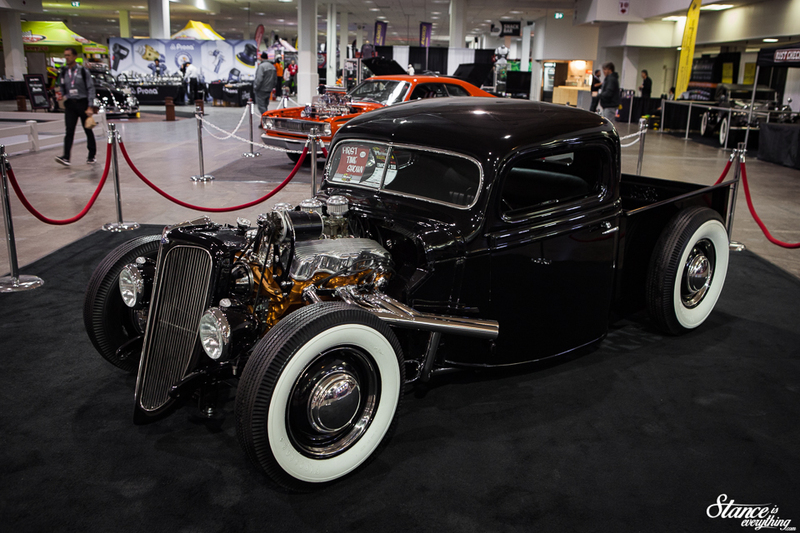 Hot rods, street rods, customs, there were even a few European classics in the front hall as well. 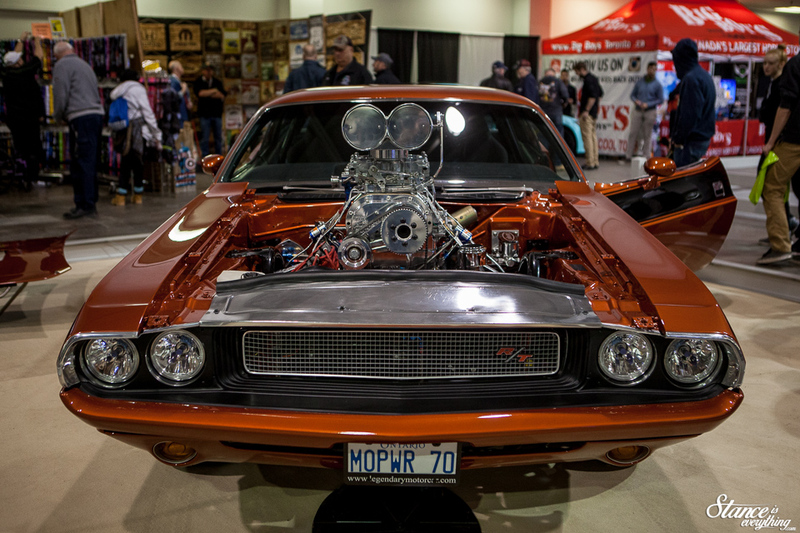 Keith, at Binbrook Speed shop, had two of his builds in the front hall in 2018. 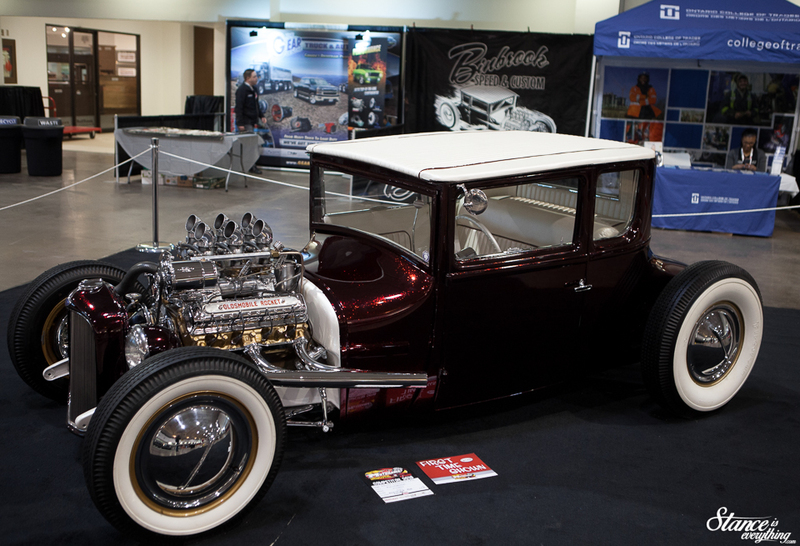 His own Binbrook Coupe and a customer commissioned ’27 Ford. 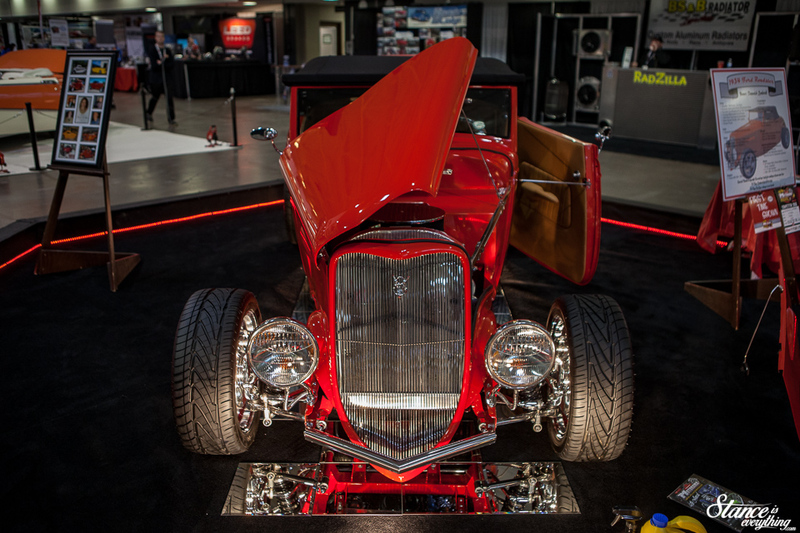 Both cars are done in the traditional hot rod style he’s known for. It’s been super cool watching Keith get better, and better, at what he does. 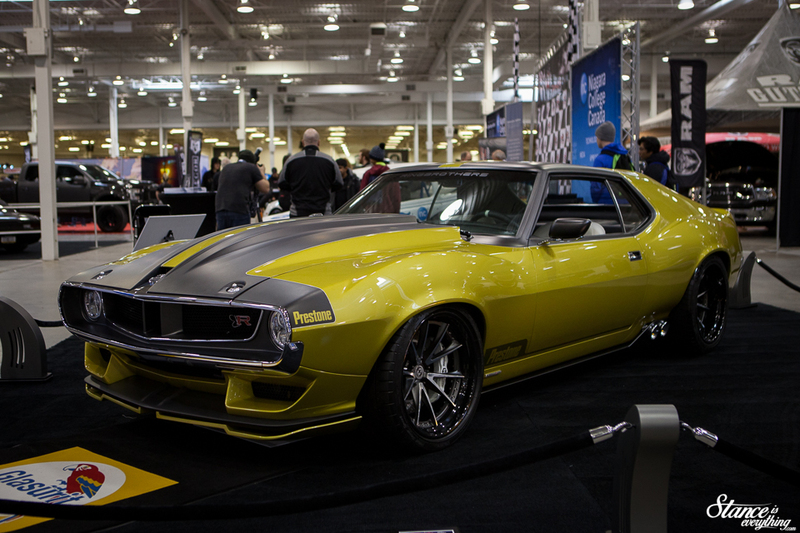 I’ve already dropped the hint that I want to shoot both cars this summer so hopefully we can make that happen. 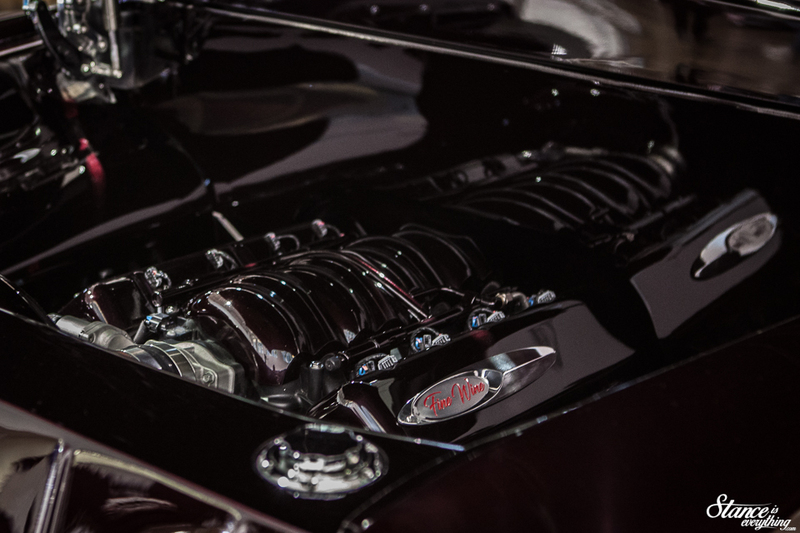 On Friday this “C7 Corvette” had the hood installed and naturally assumed there was an LS lurking within. When I returned Saturday to find the hood removed I realized that I couldn’t have been more wrong. 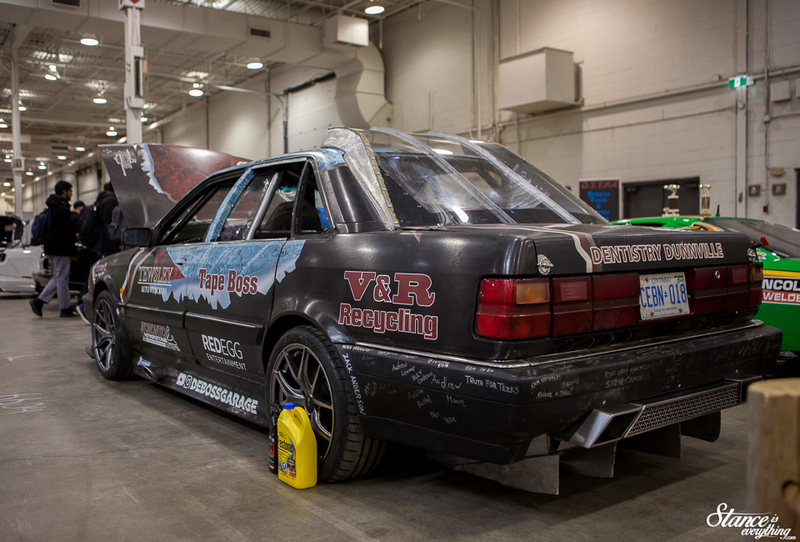 Instead of a v8 there as an alcohol fueled Nissan six cylinder sitting between the rails of a custom chassis. 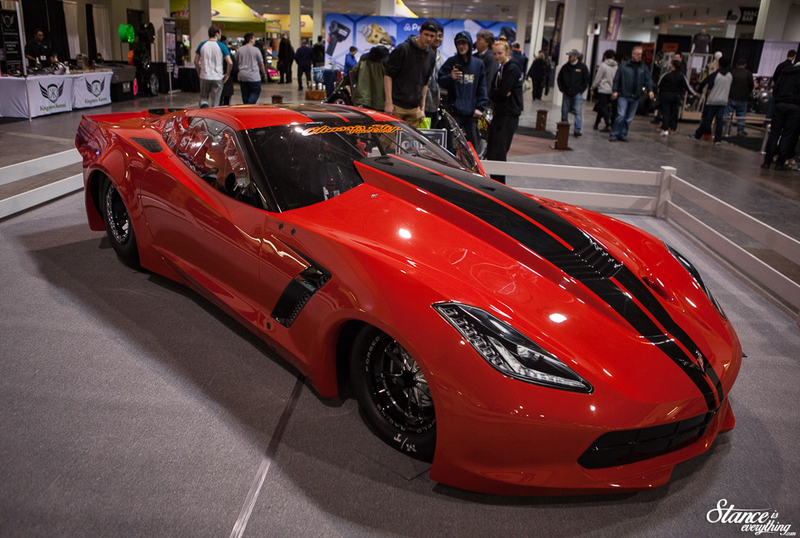 The Vette is a 10.5″ tire 1/8 mile car, and the latest build from local drag racing and restoration shop Chassis Shop. Not big in the drag scene I’d never heard of them prior to the show, but now I’m certainly paying attention. 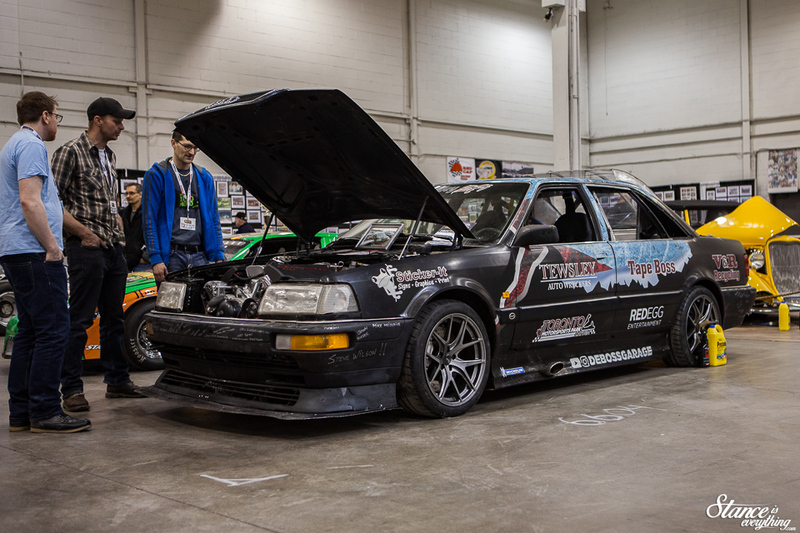 From drag cars to time attack cars Motorama had a fair-sized grouping of Motorsports vehicles. Quarter mile, time attack heck even a few racing lawn mowers. 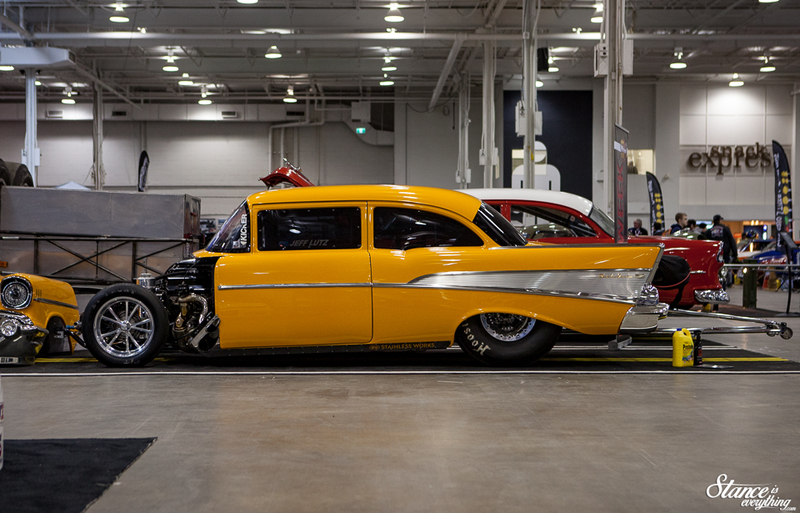 One of the feature attendees of this year’s show was Jeff Lutz who brought his latest build, a very bright, very fast ’57 Chevy. 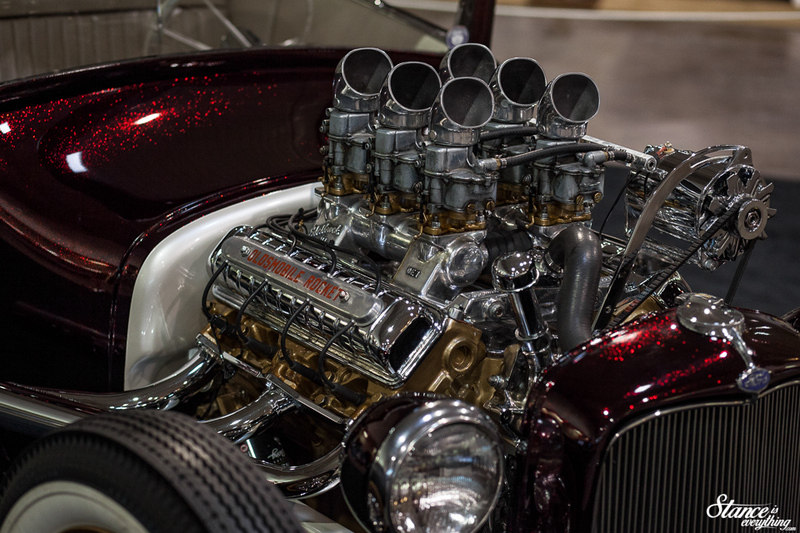 This car has a 540 big block with twin 98mm Precision turbos. 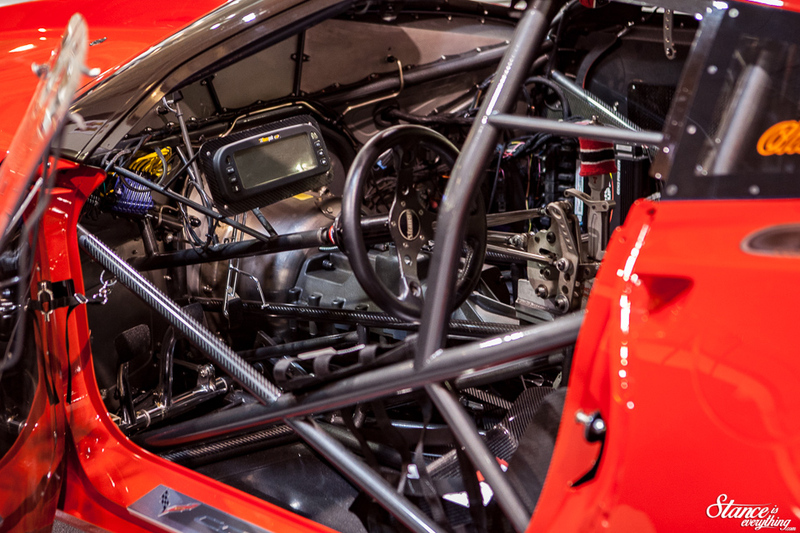 Around the big block is a mostly carbon fiber body save for the roof cowl and windshield frame. Joining Jeff in the ‘Drag Week’ display was Dave Schroeder and his Corvette. 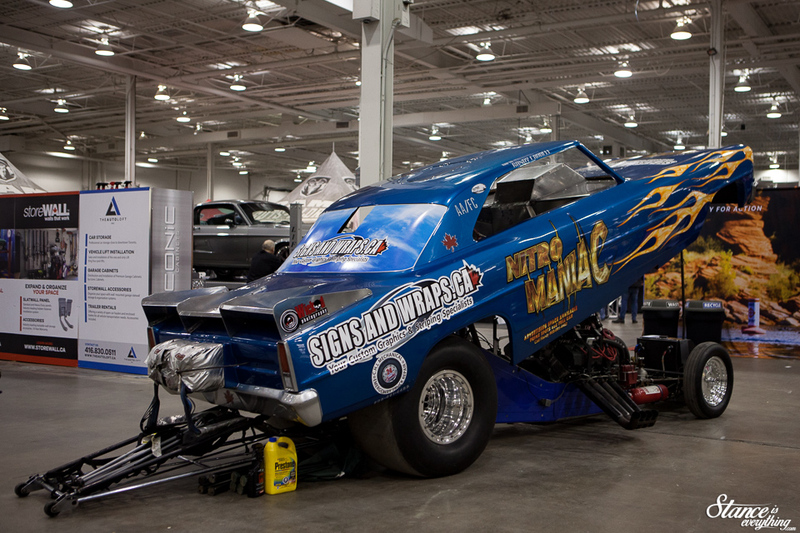 His car runs a Pro mod motor, that’s 872 cubic inches, and has a ton of (four stages worth) nitrous flowing through it. All that power, and of course a lot of driving ability is why Dave took home the Drag week title in 2017. Oh he’s Canadian to boot, so score one for Canada. 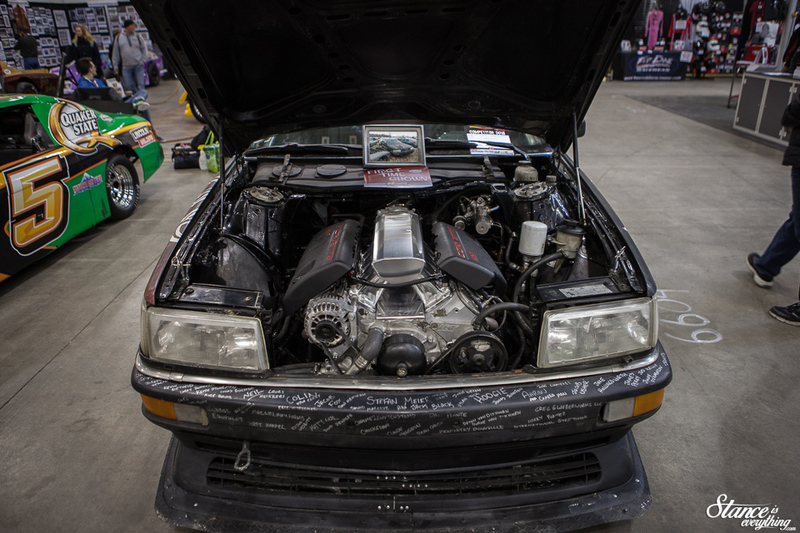 One of the more interesting performance builds at the show was the Deboss Garage Audi Quattro. Destined for the scrap heap the Deboss garage built this car to compete in a YouTube challenge organized by Superspeedersrob. Today, as you can see, the Audi is LS powered. Despite that fact it retains its Quattro system thanks to a built Audi RS2 six-speed transmission. As you’ve no doubt already noticed there is no radiator in the front, and in my hunt to find said radiator I found it and two compound turbos lifted from a Power Stroke diesel. At the show the motor on the car was slightly hurt, but it should be all back up and ready to go soon. 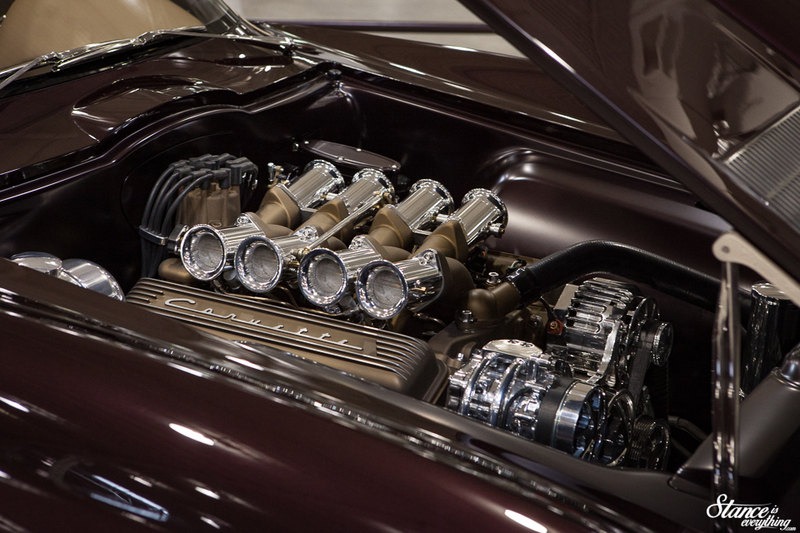 When it was in top shape the car made 694 hp and 550 lb-ft of torque. All this insanity still wears plates, so it could, theoretically, still drive on the street. 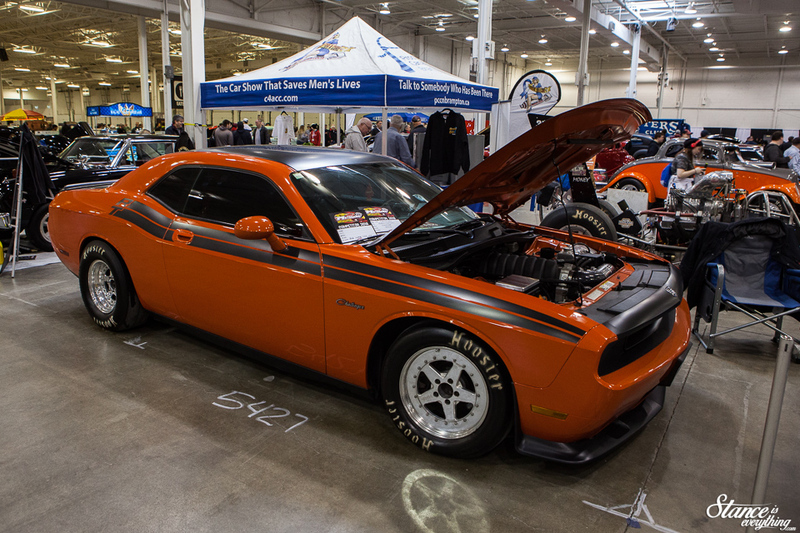 The Dodge Dart that I often run into at Durham cruise ins was at also posted up at Motorama looking quite a bit different from the last time I’d seen it. 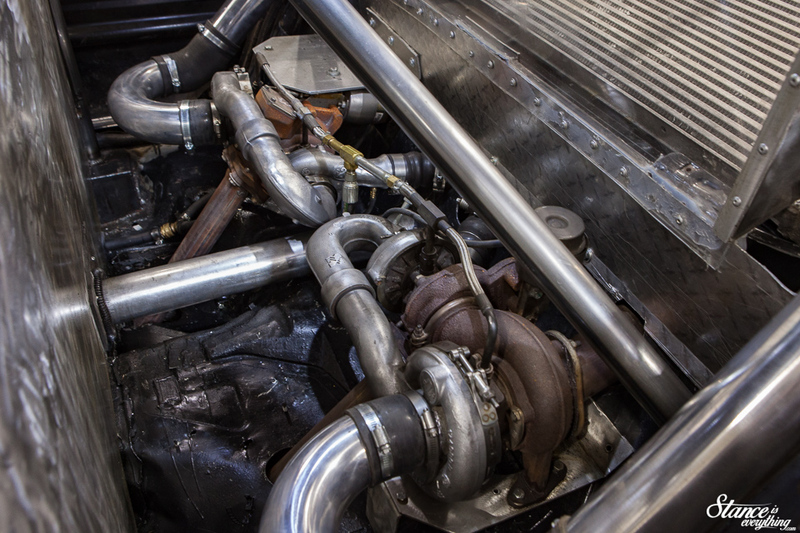 Still running a blow through turbo set up the turbos have been lifted above the grill and heat wrapped. I really ought to figure out exactly how much jam this car makes one day because there’s no way it’s not getting faster every time I see it. The car was parked beside this C10 that was also set up for the 1/4 mile. It’s exciting that there are still plenty of cars left in Durham for me to check out. Potentially as heavily modified as these two if not more. 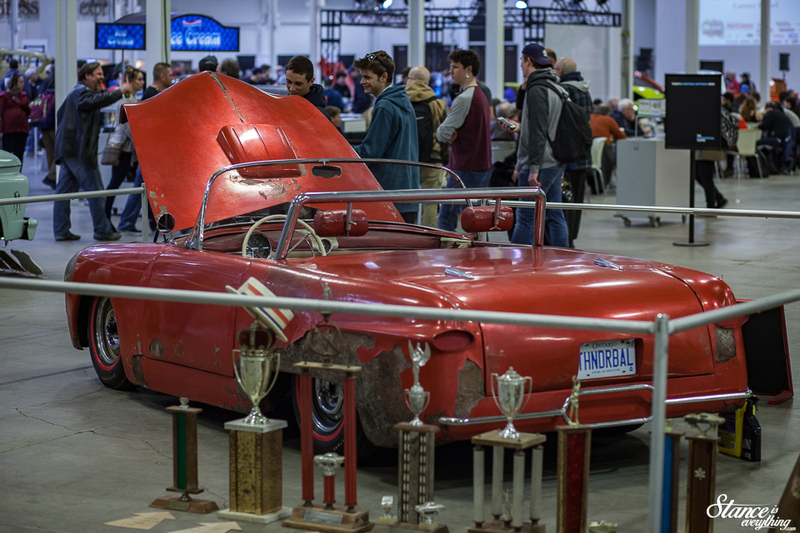 Kevin and Dutch Grasley brought Thunderball to the show as part of a ‘barn find’ display. The car got a lot of foot traffic at the event. 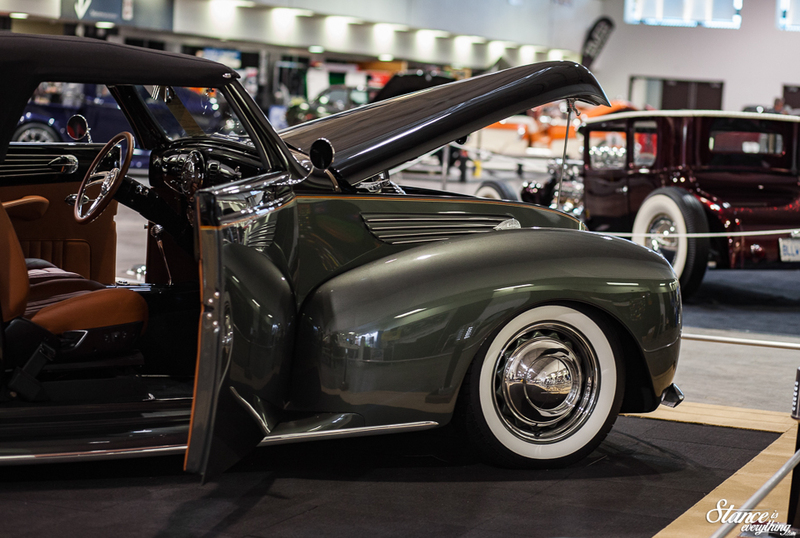 A few of the people who stopped by even remembered the car from its heyday where it won some of the awards you see pictured. Almost directly opposite from Kevin sat the Cadimax. 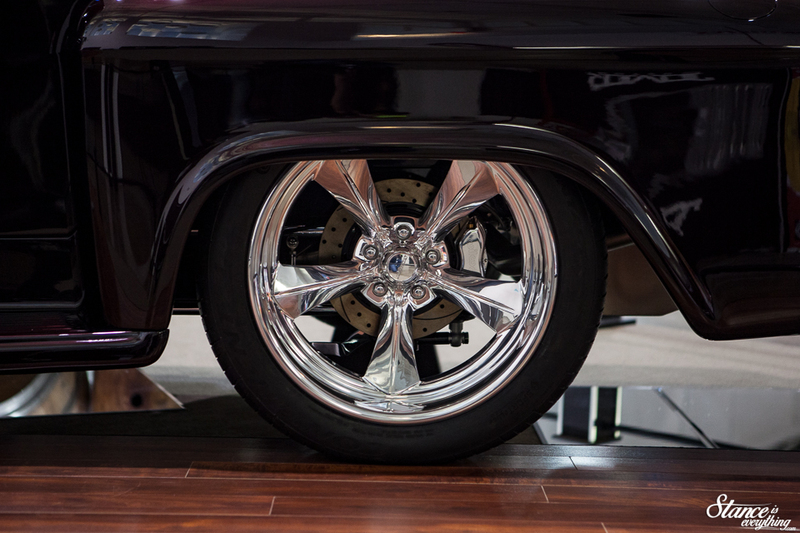 A black bagged Cadillac sitting on Detroit Steel Wheels. 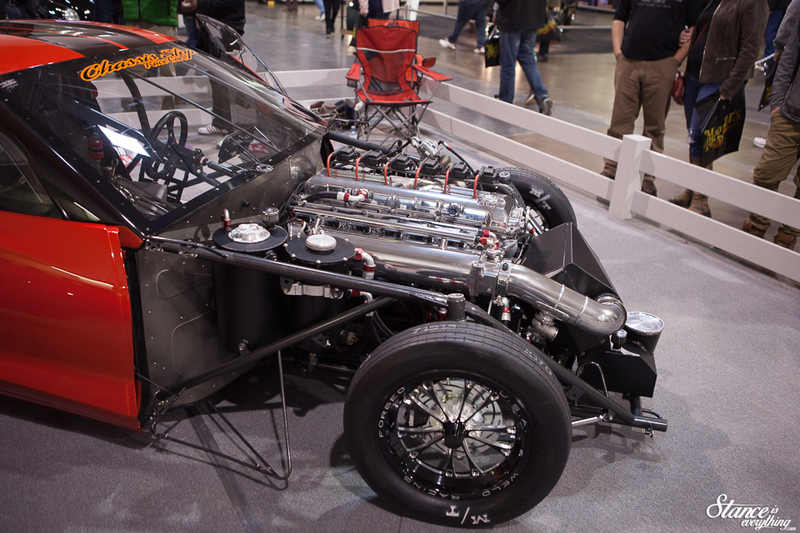 The Cadimax gets its name from the Duramax motor that’s been swapped in. I’m sure it gets a bit better mileage now versus the Caddillac V8 that usually sits under the hood of these behemoths. 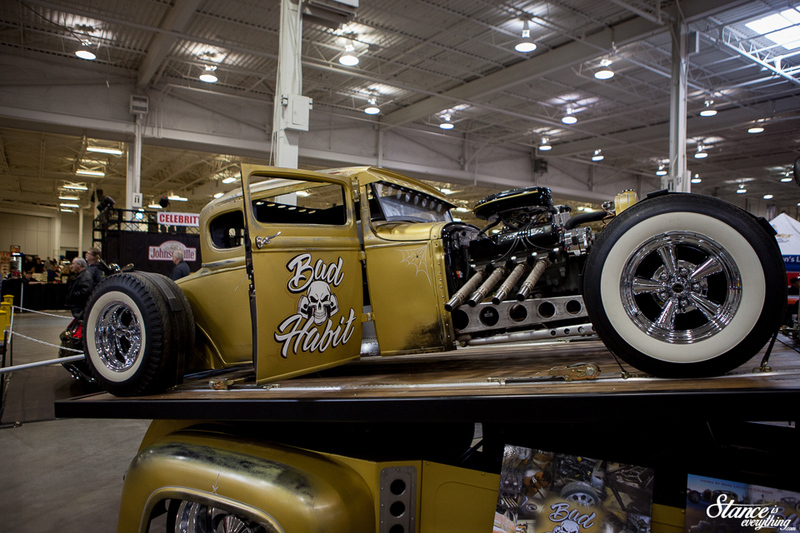 Eddie’s Rod And Custom brought their split window, named ‘Split Second’ to Toronto for Autorama 2018. 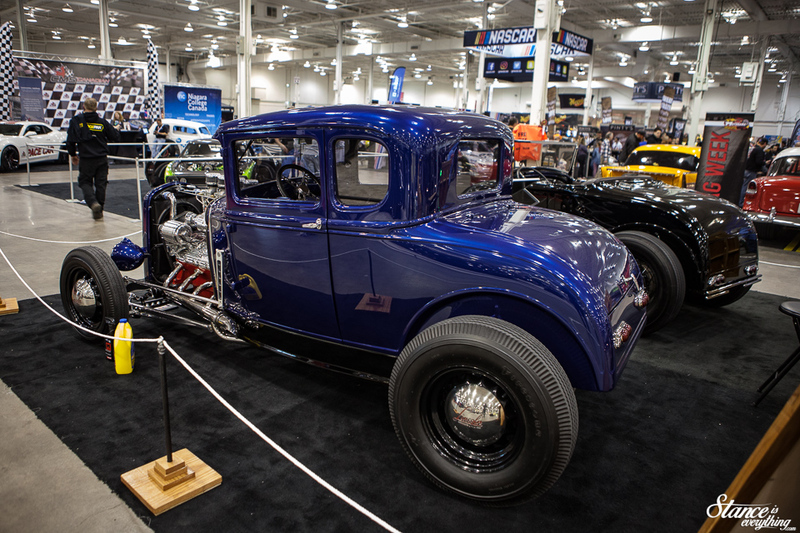 Split Second is a front hall worthy car that had previously debuted at the Detroit Autorama in 2017. Exploring the rest of the halls I was impressed at the variety of vehicles that filled the halls. I’ve wanted to see the above hauler trailer combination ever since it debuted at SEMA, but of a shame it was so tightly surrounded by metal guards preventing me from lining up the shot I wanted. 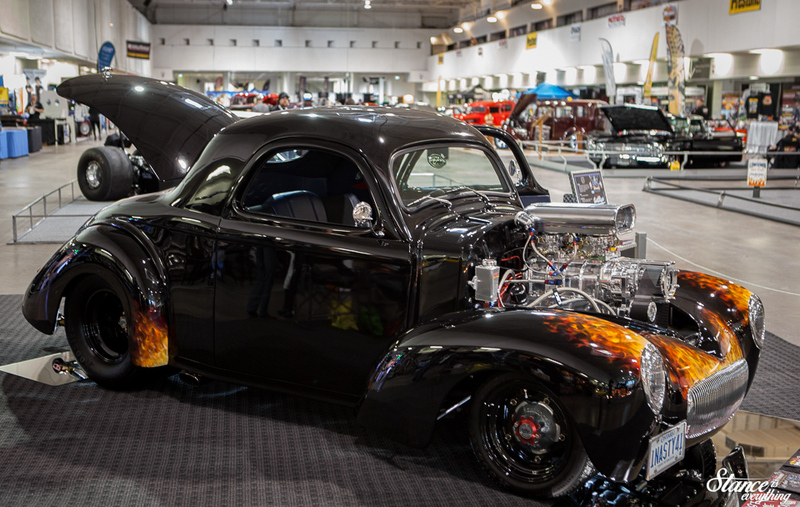 Reisinger Customs positioned two cars side by side, each, top caliber traditional hot rods. 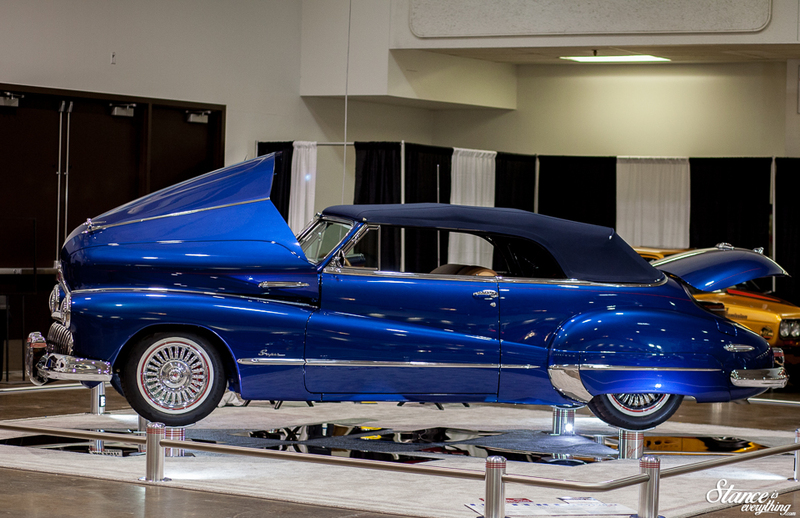 The blue Ford featured a huge flat head Lincoln v12. 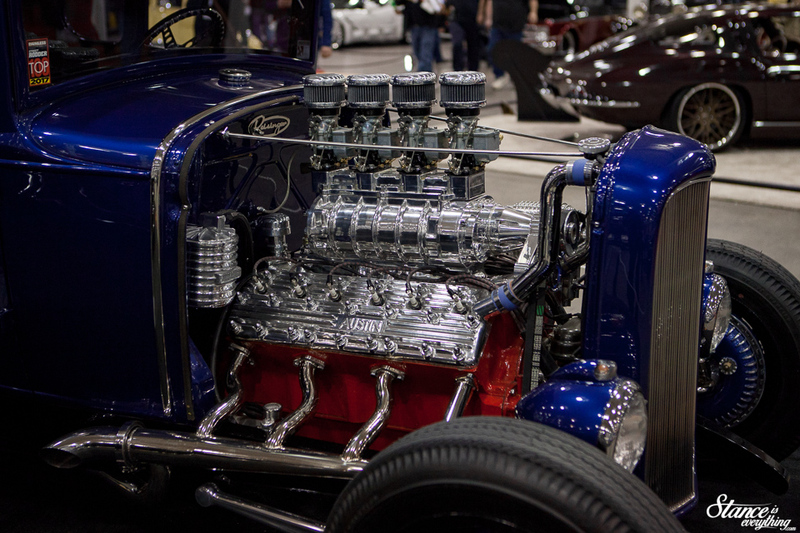 Supercharged the motor that was a thing of beauty. 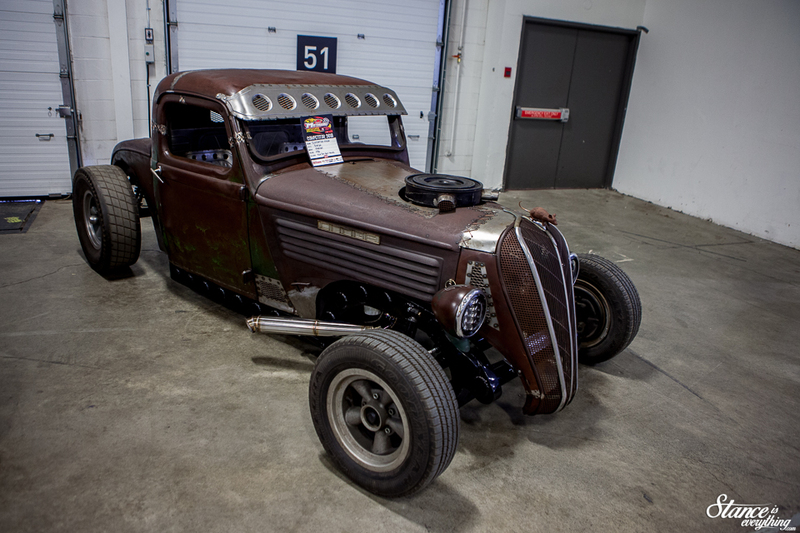 With not much weight to the car I bet it would go like stink with the pedal to the floor. 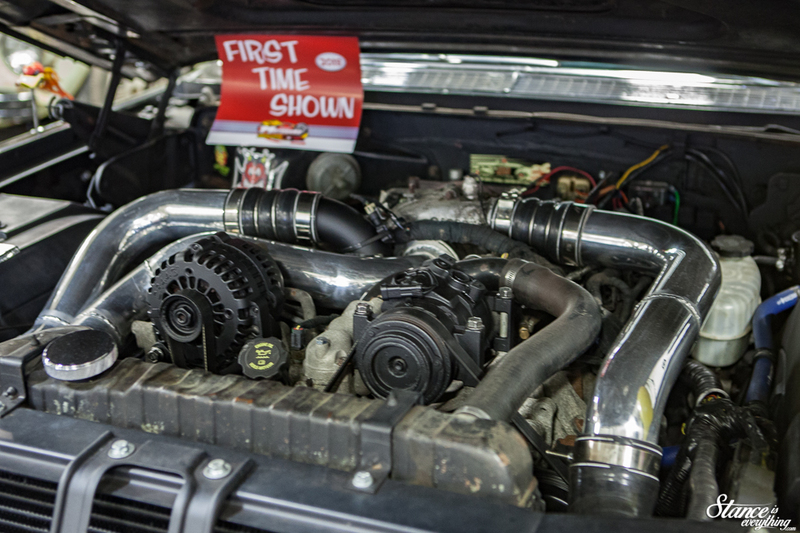 One car that had a lot of people talking at Motorama was the Datsun 280z 2+2 that Splitfire Performance debuted. 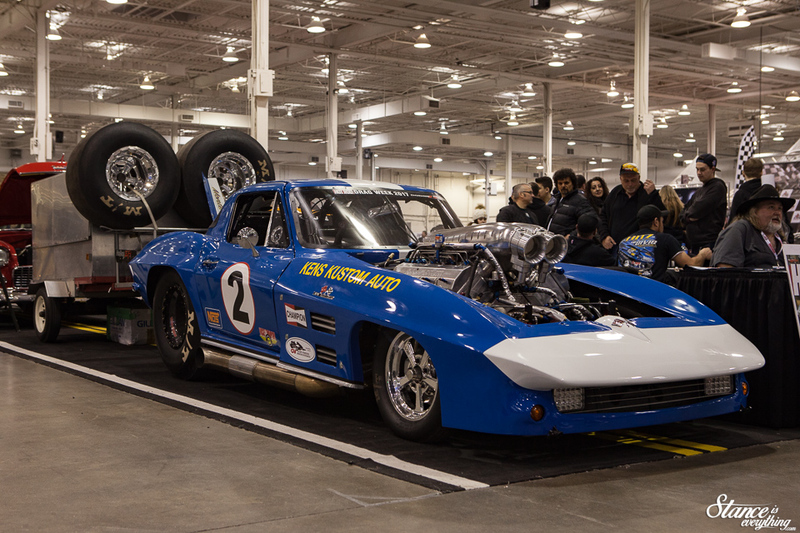 Using the same tb48de Nissan motor the Corvette in the front hall had this car was also set up to be a straight line terror. 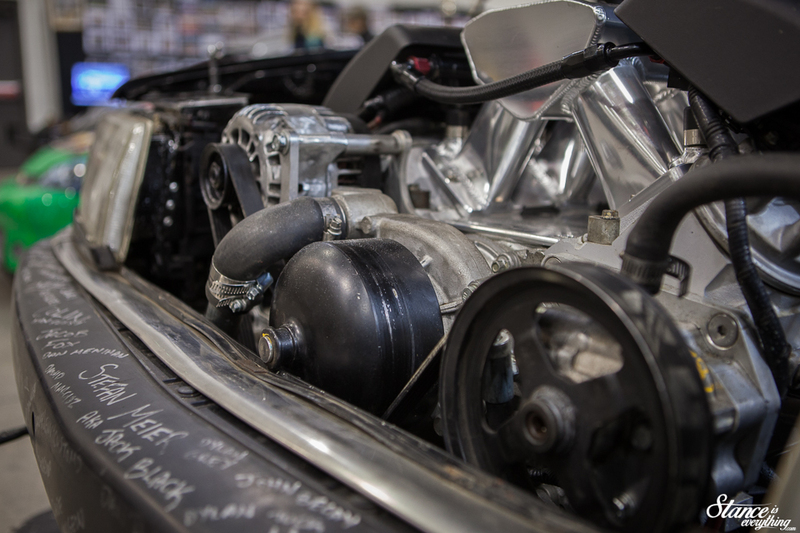 With an engine bay full of Vibrant Performance parts, a water to air inter-cooler and a giant Precision Turbo this car was a favorite of many. 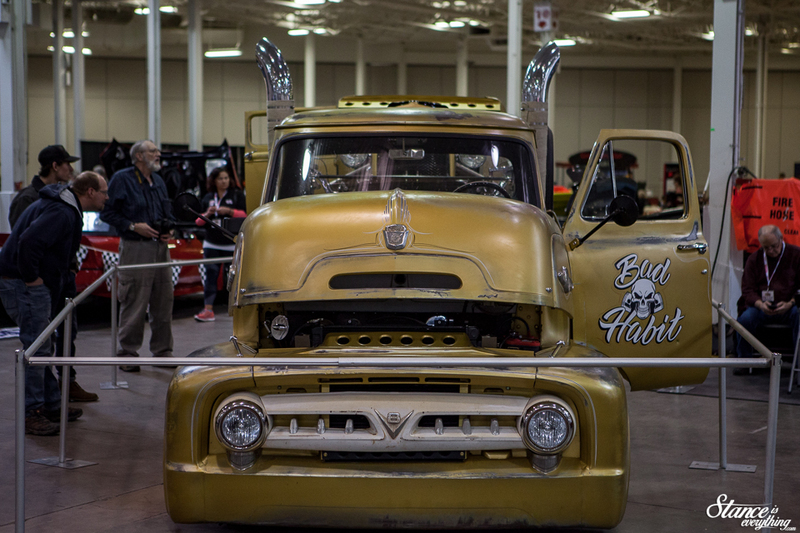 There’s plenty more from Motorama to come next week, from Spring Fever, the tuner hall that takes place in the back.